What is a Local License and Permit Bond Fixed Expiration in Kansas? A Local License and Permit Bond Fixed Expiration is a type of license bond. The purpose of the bond is to protect the state or governmental entity for certain things, such as the payment of taxes. How Much does a Local License and Permit Bond Fixed Expiration Cost in Kansas? How do I get a Local License and Permit Bond Fixed Expiration? We make it easy to get a Local License and Permit Bond Fixed Expiration in Kansas. Fill out the form above and we’ll get right on this for you. Then we’ll get the Local License and Permit Bond Fixed Expiration right out to you. Easy. In order to legally operate a company, it’s often required to file license bonds and permit bonds. License bonds and permit bonds are the government’s way of ascertaining that all corporations authorized to function within their area follow the governing rules in operating any type of business. As a result, it is necessary for any company or professional to acquire these bonds before starting their operations. With these bonds, the government are guaranteed that all laws and regulations governing that specific profession or business are closely followed. These bonds also make it simpler for the government to determine any professional or business who failed to abide by the governing rules. Acquisition of these bonds is as a result necessary for any professional or company who wants to start a business. When you’ll need information about how to obtain a permit bond, this article is here to help explain some essential details of license and permit bonds. You are going to get a quantity of bonds with regards to the functions or type of business. Listed here are some of the different kinds of surety bonds that you will need for your business. The most common kind of surety bond that you could need for your company is the permit surety bond. But, before you get this bond, you have to understand first the local laws and regulations that cover the engagement of professional services in Kansas, for instance. The government will also need assurance that you’re not doing anything illegal with your company. you must also keep in mind that your customers can be the eyes of the government when you begin your company processes. Your consumer could also file a case against you if you fail to comply with the laws of the government. You are going to then face the law, while your consumer is compensated due to your non-compliance. Several kinds of bonds are under this specific type of bond. One good example is the contractor license bond. Another example is the performance bonds. A performance bond is a great kind of insurance for the customer that chooses to hire a professional for a certain task, for example, construction. While constructing, the contractor has to meet all the needs and requirements given by the client. Since the contractor has all the appropriate skills and knowledge to facilitate the needs of the consumer, he or she must not fail. The bond is therefore an insurance to the customer that the contractor won’t fail to supply results. In addition, the contractor can be swapped out for another. Now that you have learned why you must get a license and permit bond, the next thing you should learn is the importance of securing your company with these bonds. The government requires that specialists follow a specific system while doing their things. License bonds allow define the systematic flow of processes, as an example in construction. The contractor who is involved to this operation must then follow this system. Permit bonds are a surety that guarantees customers to get the results they need. It indicates that the client will be reimbursed for a particular portion of the project should it fail. It’s done by submitting a case against the professional who failed to deliver, thereby giving the client a chance to recover certain amount of money as stated in the bond. Obtaining a permit bond, nowadays, is very easy to do. The following are methods that will guide you towards a successful application of a permit bond. First, go to any certified and approved government body that provides an application form. You can use any device with Internet capabilities when accessing online permit bonds application forms. Your application can be processed immediately when you hit submit after filling out the entire form. Stick to the instructions when filling out the form so that you won’t have any problem with the application. Do not forget to fill out the required fields for these are extremely important. After you have submitted the application, you will then get free quotation. This indicates the amount that you need to pay in relation to the bond you want to get. When you have made payment with the issuing company, you may now get your bond. To learn more about the need and importance of acquiring license and permit bonds, here are some essential bits of information that you need to learn. One important fact you have to learn about surety bonds is its purpose, which is to protect customers and to allow them to recover certain amounts of the whole project cost. If for instance you have a $500,000 project cost. This isn’t the full amount indicated in the performance bond, but rather a portion of it. As a result, the amount you are going to find in the bond is not the same with the project cost. 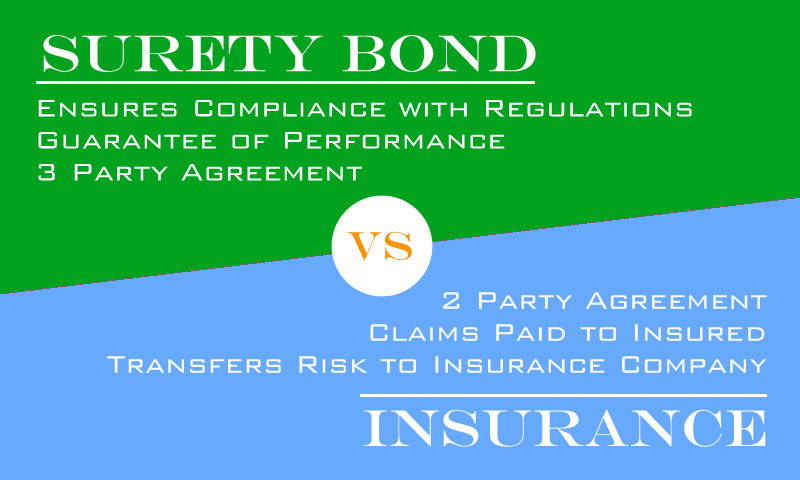 In most cases, the percentage is only about 1% of the whole worth of the performance bond. Your bond will protect your consumers from any misbehavior or disability to conduct. If you are a contractor, you have to consequently stick to this governmental requirement in order to avoid legal cases with your customers. You must follow all the regulations presented by a government. One of these is the need for a license and permit bond, which is required to make certain that you gain your clients’ trust and confidence for the items and services that you offer. See our Kansas Janitorial Service Bond page here.